"I could not continue in science without the services provided by NDRI. The human eyes we obtain from NDRI are the backbone of our research." Prospective Recoveries: NDRI works with eye bank partners to obtain consent and recover ocular tissue from donors for biomedical research. Recovered tissues have a post mortem to preservation interval of 14 to 24 hours and can be delivered to researchers within 36 to 72 hours. 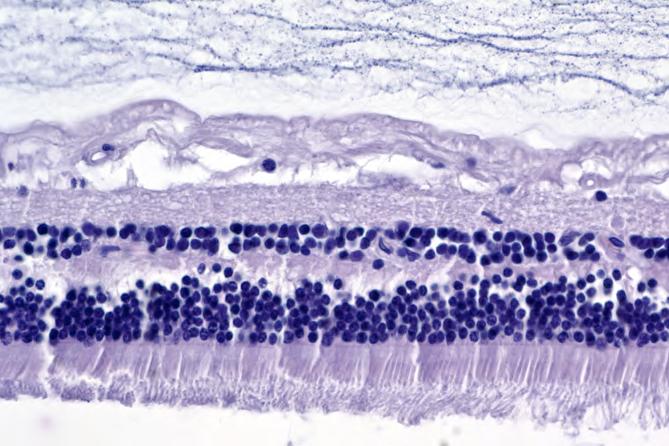 Ocular Histological Sections Project: This is an invaluable resource for investigators who are unable to process whole globes or who prefer to receive only specific sections of relevance. An experienced ophthalmologist/histopathologist processes all eyes, and provides detailed pathology reports, including comprehensive medical/social history data, for each donor.